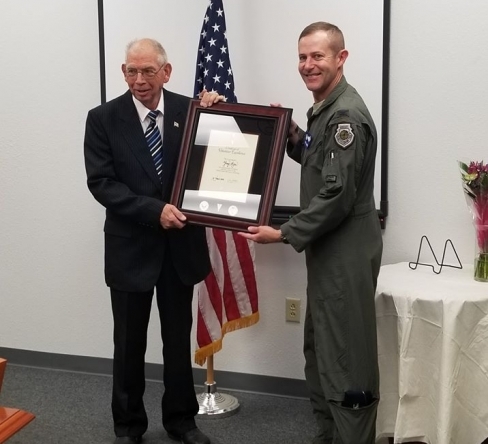 Recently, our dedicated volunteer, Gary Miller received the highly prestigious Volunteer Excellence Award from the 355th Fighter Wing Davis-Monthan Air Force Base, Arizona. This award is bestowed to individuals who make it a personal mission to serve their communities. Gary served in the U.S. Air Force in the rank of SMSGT (E-8). He served in two Vietnam tours and retired in 1981. Gary is the definition of an outstanding volunteer. He is dedicated to the Habitat for Humanity mission of building affordable homes in Southern Arizona and always steps up to work hard when he is needed most. 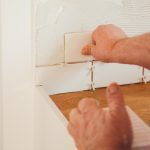 He has personally helped hundreds of families live in safe, decent homes. Gary was also crucial in leading a neighborhood improvement project in partnership with Team Depot and the YMCA to restore and improve the safety of the Triangle Y Ranch Camp. A camp that serves as a pillar of the community hosting thousands of children of veteran families. Volunteers like Gary are vital to the success of our organization providing expertise, leadership, labor and support on our construction sites. Congratulations, Gary! 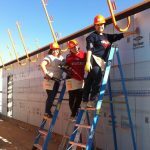 Habitat for Humanity Tucson is always in need of hardworking volunteers on projects like our A Brush With Kindness home improvement or extra manpower at the Habitat Habistore. If volunteering is something you are interested in, go to the Habitat Tucson website for more information. 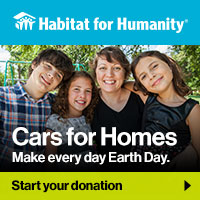 If you would like to donate to Habitat for Humanity Tucson navigate to the website and or click the donate button below and enter your desired amount. Habitat Tucson thanks you for your contribution to our goal of building homes and communities across Tucson!